Reggae legend Raskimono’s wife, Efe Okedi is dead, 3 months after her husband passed away. According to reports, Okedi, died in the early hours of today at her Magodo Isheri home in Lagos. The cause of her death is still unknown. 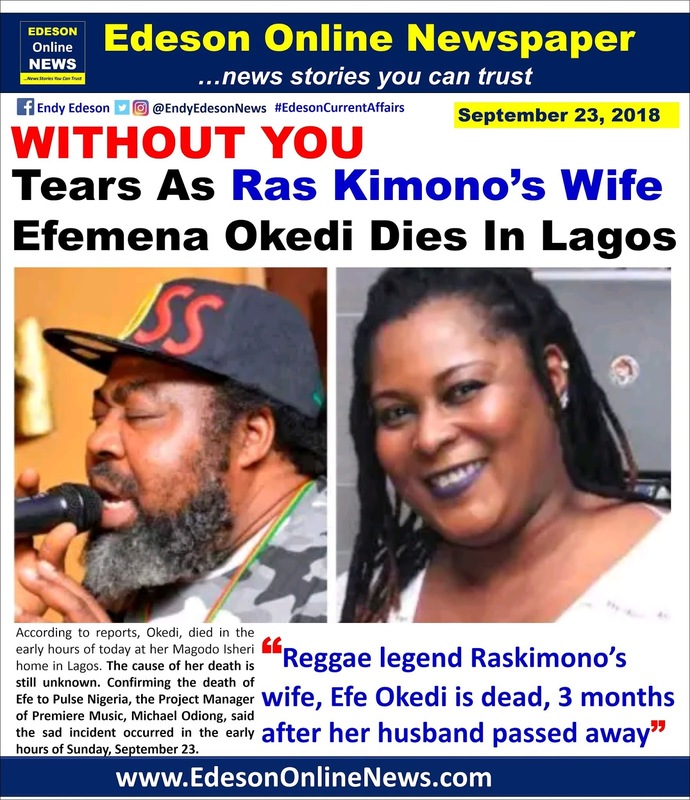 Confirming the death of Efe to Pulse Nigeria, the Project Manager of Premiere Music, Michael Odiong, said the sad incident occurred in the early hours of Sunday, September 23.